So , I only can get the head and torso from a Horizon kit, thanks a friend here in Mexico. This is a big problem because I had to make all the other pieces from the kit. 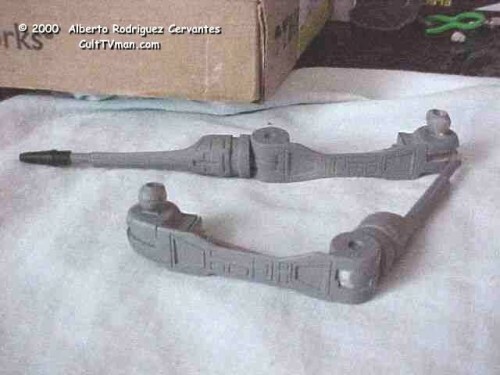 The same friend showed me a toy of the Terminator from a company called TOY ISLAND. The toy is perfect for my kit. The modification of parts is hard but is all right. 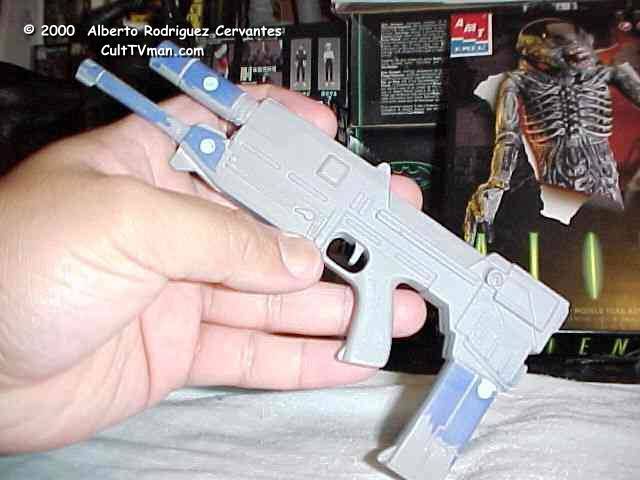 Also the toy has an endo rifle with sound. The legs are moved., and I cut the feet off for easy repositioning on the base. The hand is the big problem. 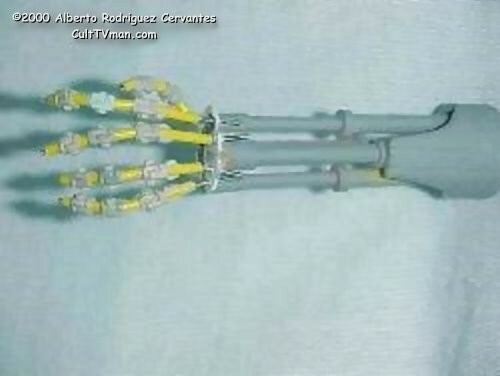 In the pictures of the hand from Terminator, it is not only rods. 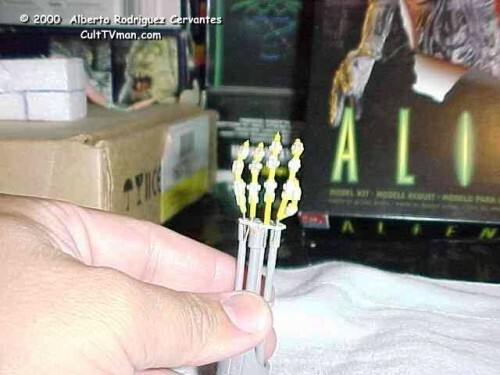 I used tubing, guitar strings, and epoxy putty for sculpting the joints. The idea comes from John Zizolfo’s Terminator and Stefan Linder from Swede Creations at www.swedecreations.com (the use of Guitar Strings). 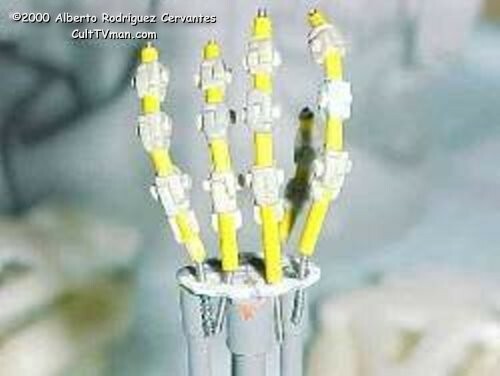 IN this close up of the endo hand, you can see the guitar strings inside the tubing. Of course the hand is not finished. This is only a test. 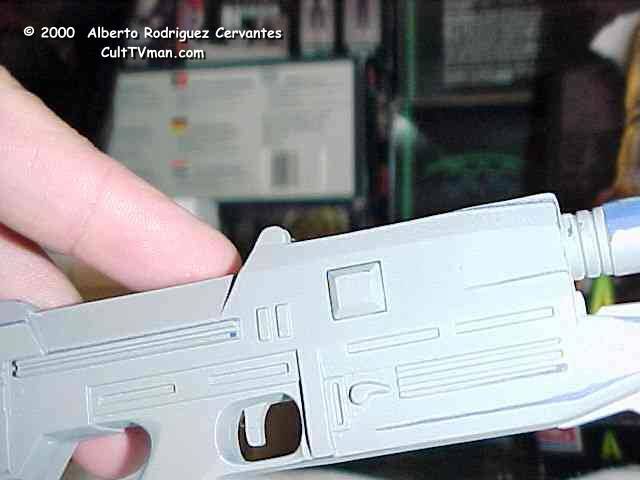 The size from hand is 1/6 scale –I think! The plastic Endo Rifle . I made modifications and sanded it all. The screws were puttied or sealed. In this picture you can see the button for the sound from the endo gun. It is the little square, which you push and hear a sound.